With the new advance of push notifications onto the scene, more and more businesses are realizing what an amazing tool it is to get your message over to your customer. The results speaks for themselves – with a delivery and impression rate nearing 100% -unheard of in any industry- push notifications can become a brand new way to let your communications be seen like never before. Look, we get it, email is a necessary tool to conduct business, but the fact of the matter is that not a lot of people see it that way anymore. With the invention of business communication tools, a lot of people simply have decided to pretty much opt out of email as a whole. Out of the people who do keep email, there is an ever-decreasing sense of attention given to the messages that they do get. Think your clever emails about why your company is so important and your business invaluable to their lives will get you opening rates never before seen this side of Amazon? Think again. It’s easy to think that you can get away with just using plain old email, that’s why most companies still use it as a business tool, for their communication and for their businesses. But the fact of the matter is, the internet is pretty much slowly forgetting about email entirely. Much like email, push notifications are a “set it and forget it” style of communication for the user, therefore it’s easy to think that you’ll have a similar amount of engagement with them than with email. But they are actually two completely different worlds. As much as we have spoken to the inevitability of the death of email, we have to make something perfectly clear, push notifications are better as a complement to email marketing, not as a replacement tool. Push notifications, like any other tool, can be easily abused and get thrown into a loop depending on who uses them. But, much like with email, there is only so much abuse customers will take before they turn notifications off or worse. It is therefore very important to understand the kinds of messages that users like to see and get, those that keep them engaged and interested in you and your brand. We will touch on said messaged later on. There are no two-ways around it, email is not what it used to be. There are more channels from which consumers get their information. It is a bit arrogant to assume that somebody is going to take valuable time out of their day in order to check out what you have to say through email, yet a lot of people still assume that email is exactly like it was 10 years ago with the same opening rates as before. Not true. Not only will you constantly get hit with your emails ending up in spam folders, even if they are delivered (which is not guaranteed) they can just rot away in a user’s inbox for days on end. However much you think it is necessary for users to take in order to consume your email, they will take longer. We also have the problem of abuse – marketers and companies who simply send too many missives to their clients, abusing their trust and getting abysmal opening rates will likely become a thing of the past quickly. Email companies take notice and take action onto these kinds of practices. What If I Have an Online Store? Ecommerce has become a cornerstone of the internet. 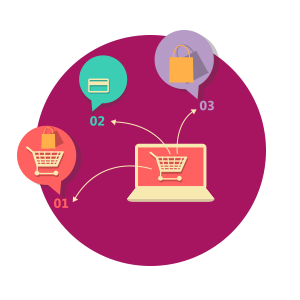 With tools like Shopify, Open Commerce and Woo Commerce just to name a few, it is very easy to set up shop in just a matter of minutes in order to sell pretty much any product imaginable. But unfortunately, people with ecommerce businesses get largely ignored by their own audiences. According to Mailchimp, the legendary email marketing company, the average rate for ecommerce communications sits at less than 17%. If you think that those numbers are low, you would not be correct as they are better than a lot of other industries in that regard. Our collective attention spans are getting shorter and shorter. Not a lot of people can pay a whole lot of attention to just one thing for large amounts of time. 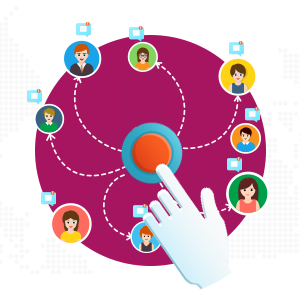 That’s why quick and easy communication tools such as Twitter and Facebook became so widely popular. But the good news is that push notifications are the answer that smart businesses and marketers use in order to keep appealing to their audiences, push notifications require very little attention. There has been a lot of talk centering about the topic of mobile web browsing. Since we all have smartphones now, it is very simple and easy to think that desktop browsing is a thing of the past. However, that notion is simply not correct. As much as 58% of internet browsing in the US is still done using a desktop machine. We can therefore say that desktop is still very much alive and kicking. There are numerous advantages that push notifications have over email, and we will take a close look at a few of them. The swift way that push notifications reach users is something that a lot of marketers have simply not seen before. 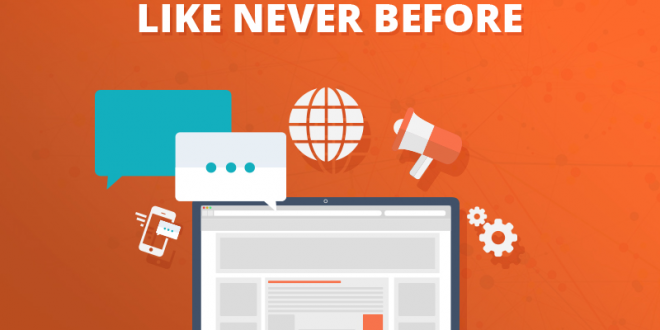 Unlike with email, you can be sure that your messages will get seen by your user and that you cannot simply get tossed aside so simply like most email communication is. If you got a notification earlier in the day, you’ll known what we are talking about. Web browser notifications are seen an incredibly big amount of time, like we said, it’s nearing 100% by some estimates. 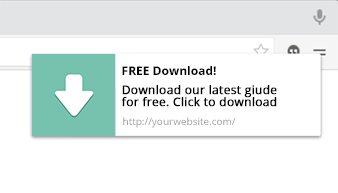 And you simply cannot ignore it, it’s right there for you to click and engage with as a user. If you think that just sending any old message will net you results, you’re probably right, but if you make the messages personable and engaging, you have a much better chance of getting big engagement. The firm LeanPlum estimates the difference between a personalized message and a generic one to be up to 800%. It’s not even close. Like we said before, the modern user simply does not have the time to read too many emails and said time is getting smaller and smaller by the year. However, since push notifications are so short, users don’t really mind getting them and in a lot of cases, they are welcomed by the people who get them since they see information that they might otherwise have missed. 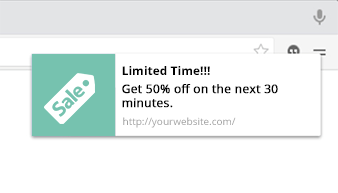 If you are running an offer for users who open your website, purchase your product or simply take any other action within a defined period of time, you know that time is money. A lot of times the users -if you use traditional email marketing and just that- will simply not find out until it’s too late. Not so with push notifications, they will get the information they need in a timely fashion which means more engagement and a lot less frustration for both you and your audience. One of the reasons, by our estimation, that push notifications have become so big is because they simply are so quick and unobtrusive. If you have ever subscribed to an email newsletter, you know that you have to give a lot of confirmations to even get into the damn thing. Rules and regulations have made it so that you have to go through a whole song and dance before even getting into the newsletters that you want to be in. Compare the above information to how one subscribes to a pus notification. 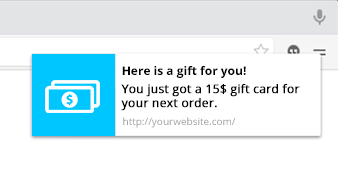 You get the opt-in message right there on your screen. You click “allow” and it’s done. You simply have taken care of it for good. This ease of use is very tempting for the users, which means more engagement and more exposure for you, just because you decided to let the users skip the turmoil of subscribing or unsubscribing from your traditional newsletter. As we mentioned before, making your push notifications as engaging as they can possibly be residing in how personalized your messages are. The users don’t mind being given a push notification and if the information that they get is good, interesting and caters to their preferences, you can bet that they’re going to be clicking early and clicking often. The thing that you should keep in mind at all times is that not everyone in your audience is the same. Fragmenting and sending different messages to different parts of your audience can become a secret weapon that you can use in order to boost your engagement, views, sales and pretty much any other metric that you can think of. And speaking of metrics, you should always rely on what the analytics that you have available are telling you in order to understand how your push notifications are being perceived, what your audience thinks of them and about how they are being delivered. This is the key to perfect personalization. There are quite a few different kinds of push notifications that audiences seem to respond to. For example, they can respond to helpful information such as tips, ‘lifehacks’, advice of one type or another, motivation, offers based on time or location (or both), messages with a time limit such as reminders, updates on a project or on a person even, news about the world, their country or their specific location (these last ones in particular are very engaging) and also rewards based on a task that they can do or have done in the past. As we mentioned a few paragraphs above, analytics should be the bread and butter of how you decide to communicate with your audience moving forward. The kind of data that you can get using push notifications is unheard of. You can keep tabs on how well some kind of specific message measures up against another, what the users do once they click on your push notification, what messages are helping you gain subscribers vs losing them and so forth. It is imperative that you use this information wisely, because at the end of the day the goal should not be just have big numbers for their own sake, but understanding what your audience thinks, wants and needs. Since our audiences can no longer be counted on to have the time to digest our messages like in the past, we must be proactive and use the tools that will actually lead to their being engaged, interested in and conscious of your brands. Push notifications are the way of the future and it is very difficult that this will change. When put toe to toe with email marketing, push notifications come out ahead every single time because they have all the benefits of traditional email marketing with also a lot of extra benefits on top. Being that push notifications are shorter and more actionable than email, users simply like them more and are more willing to accept them and engage with them. Even so, email is not yet obsolete and you should not get that message from this article, the point is that they make for great compliments for each other and that’s a good thing. 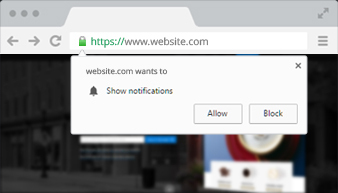 Web browsers are still very much a big part of the average user’s internet experience, therefore using web browser push notifications is an excellent tool in any smart marketer’s toolbox, one which can and should be used in order to keep up with current times, get more engagement from their audience and better results overall. It’s simply the smart way to go.